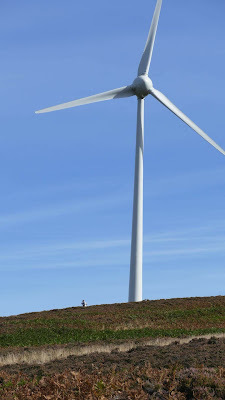 Shoot Beater below a wind turbine in Scotland. Tightened monitoring and reporting could end the 'blame culture' should anything happen to wildlife. 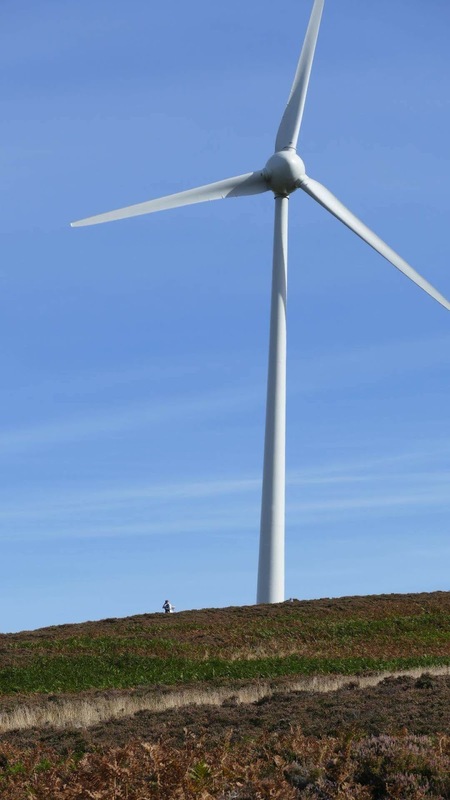 The Scottish Gamekeepers Association has called for monitoring and reporting around wind farms to be tightened up to provide greater transparency regarding wildlife impacts. The representative body, which has 5300 members, believes an agreed code could replace a ‘blame culture’ should raptors or other wildlife disappear. Gamekeepers on grouse moors were implicated this year when a report concluded up to 41 out of 131 satellite tagged eagles in Scotland may have disappeared over 12 years. At the time of publication, The SGA noted its dissatisfaction with findings on wind farm impacts but chose not to speak out, focusing instead on condemning wildlife crime. Now, however, with more and more highland windfarms in existence, many overlapping with grouse moors, the gamekeeping body believes new monitoring codes will be needed. Their call comes after a September report by BTO, RSPB, Birdlife International, IUCN, Cambridge University, University College London, Imperial College London, University of Stellenbosch and the Joint Nature Conservation Committee showed raptors such as sea eagles and golden eagles to be at the highest risk to turbine mortality of all bird species (1). Gamekeepers have witnessed raptor mortality at wind farm sites and have themselves located stricken birds in vegetation outlying turbines. SGA Chairman Alex Hogg says the body has no issues with renewables, with many estates now augmenting sport shooting with wind farms or hydro schemes. However, its members feel post-construction monitoring codes need to be revisited so causes of bird mortality are clearer. 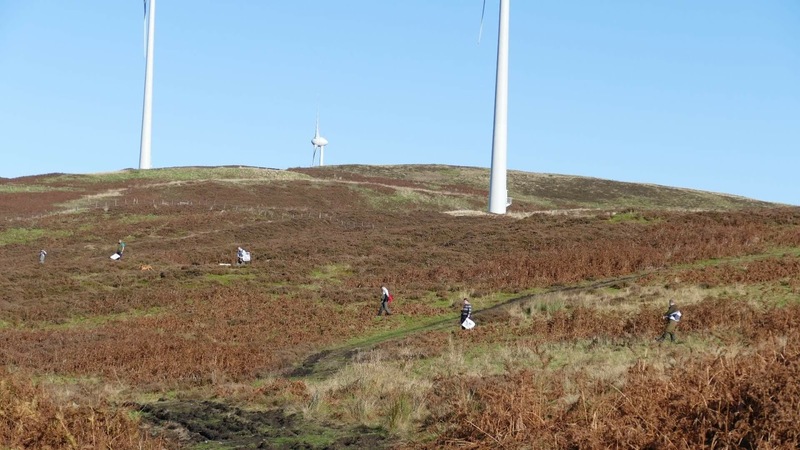 “A code for on-going monitoring of windfarms, for wildlife impacts would be helpful. Checks exist but are inconsistent and organised by operators themselves, often using maintenance crew. There is no statutory duty to report bird collisions in Scotland. “We said at the time we were not convinced by the wind farm element of the satellite tagged eagle report but we didn’t want to detract from our condemnation of illegal behaviour. “We have, ourselves, expelled 6 members in 5 years for wildlife crime convictions. “However, we disagreed, and still do, with the report’s assumption there would be little motive for wind companies not to report downed birds. Our members have witnessed dead raptors under turbines and up to 200 yards from turbine masts- way beyond the 50m radius operators are recommended to search and report. Most have felt duty bound not to speak because turbines march onto land they manage. “The report also said turbines could not be seen as a major cause of missing eagles because no final tag signals were within 1km of a turbine. But we know signals only register a limited number of times per day. Also, when a missing Hen Harrier’s tag’s final signal was found to be on an RSPB reserve, at Insh Marshes, the public were told last signals were only an ‘indication’ of a broad general area the bird was in (2). We feel there is insufficient data to corroborate. Beaters lined out below turbines marching moorland in Scotland. Land uses, side by side like this, are increasingly commonplace today in Scotland.